We have been meaning to paint rocks for a while now, we collected a bucket load from a beach in Devon on our holidays last year and so far they have remained in the bucket! Apart from one rock which has found its way into the munchkins bedroom as an ornament because it’s smooth and a little shiny. We haven’t got round to doing anything with the others. 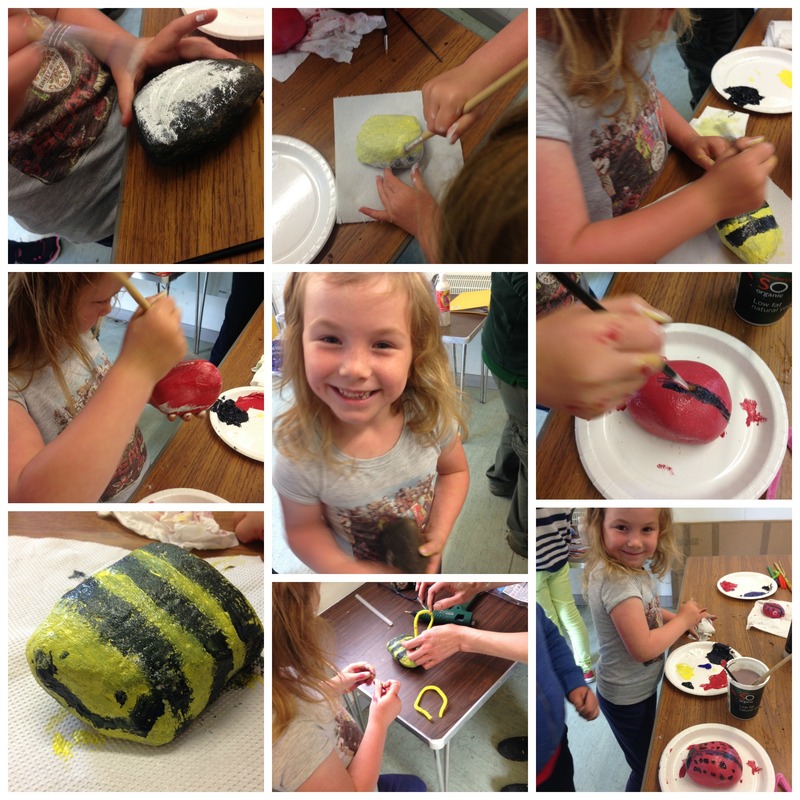 One of the junior ranger sessions with Sarah Richardson was to create Rock Buddies! Again, like the other sessions we’ve enjoyed, Sarah likes to incorporate nature into the activities so got us the kids to think about insects and animals we might find in the park, but to think of doing them in bright colours. The munchkin was very hesitant to let me help her with this activity, she loves painting and as I’d been promising her for nearly 12 months to paint rocks she was all for doing it all by herself. 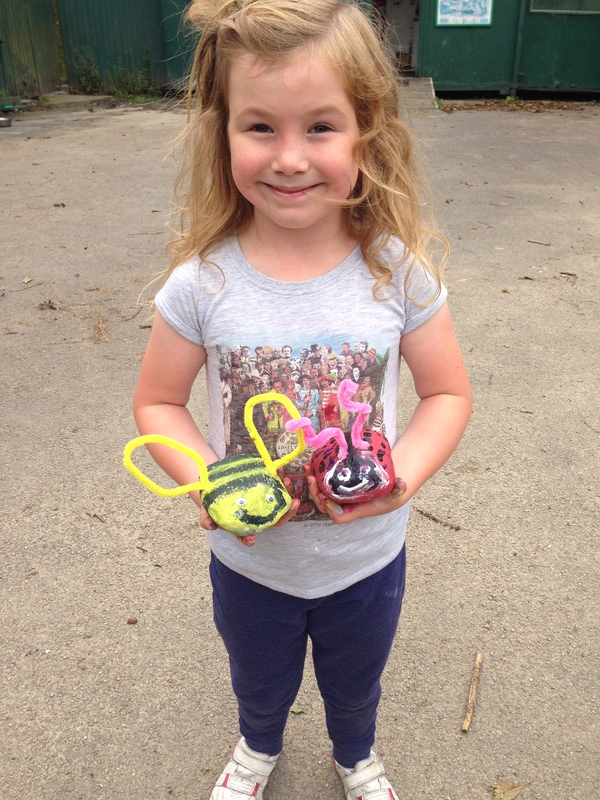 The munchkin decided to do a bee and a lady bird, despite Sarah suggesting brights she went for the more traditional colours and bar a little help repainting the yellow lines of the bee she did really well. 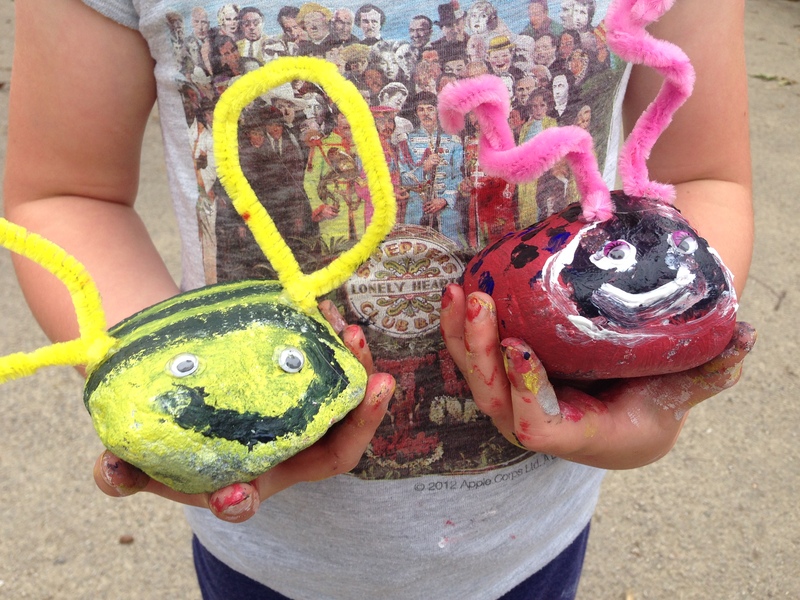 Sarah had advised to do really thin layers of paint so they would dry quickly and once they were dry to think about adding pipe cleaners and googly eyes to the painted rock buddies, then Sarah glue gunned them on to make sure they stayed in place! She was very happy when she had finished and I think they look great! At some point I ‘may’ have promised her we would get round to painting the other rocks we have stashed at home, another excuse to spend some time on Pinterest. Not that I actually need an excuse!